One of my favorite vineyards is Bien Nacido, in the tiny Santa Barbara County town of Santa Maria. The wines made from those grapes speak to me like few others, and they speak of earth and and sun and fog. And earth. The Miller family sells 99% of the grapes they grow, keeping only the scant remainder to bottle for themselves. Their tasting room is well south of Santa Maria, in Los Olivos, the bustling little town that seems to be made up of only wine tasting rooms and restaurants. And that's okay with me. The tasting menu opened with a Rosé of Pinot Noir, a Vin Gris, which was a very light salmon color with a somewhat oaky nose. It belies the six months the wine spent in new French oak. Earthy and herbal on the palate. It was a great wat to shake off the heat of a sweltering late summer day. 2014 Bien Nacido Chardonnay $45 - Big, full fruit, with pronounced oak. 2014 Solomon Hills Chardonnay $45 - Very earthy minerals. Both Chardonnays were big, but not fat. 2013 Bien Nacido Pinot Noir $60 - Strawberry and black tea on the nose, with a floral elegance. The palate shows delicate tea notes, too. Not at all what I expect from a California Pinot. Very graceful. 2012 Bien Nacido Grenache $60 - Big minerals in this one, with a floral touch. Great acidity and mouthfeel. On a recent day trip to the Santa Ynez Valley, we stopped in at Shoestring Winery. It's on Highway 246 in Solvang, close to Ostrichland USA, that weird big bird farm you may remember from "Sideways." The Shoestring tasting room is a homey barn where nice people pour samples and show off other wares, like home-flavored salt and homemade chocolates. Shoestring is a small winery, producing less than 3,000 cases per year. Twelve of their 60 acres are under vines. Michelle poured for us on this blistering 105-degree day with the memory of times past wafting from the back. She said horse trainers founded the place and named it after their budget. There were once horses quartered in the barn, and she told us that the wooden discs on which the ponies walked are still back there, giving off a pungent creosote smell. The aroma was amplified by the heat and the fan blowing air from the back area, and reduced my ability to pick up the nuances of the nose. On other trips to the place it was not nearly so hot and the smell was hardly noticeable. 2012 Shoestring Pinot Grigio $24 - It's the only white wine they make. Crisp and fruity, the last of an older vintage vintage. 2009 Shoestring Sangiovese $37 - This exceptional wine spent four years in “used French oak.” Cherry on the nose and palate with earthy, herbal notes. 2009 Shoestring Vino Blend $37 - A new release that blends 50% Cab, 25% Merlot and 25% Syrah. Usually, the lead grape in this wine is Sangiovese, but they got a good deal on Happy Canyon Cab grapes that year. It's earthy and rustic with great tannic structure. 2009 Shoestring Merlot $37 - Another wonderful wine, with a nose showing vanilla, spice, and a tiny bit of smoke. The palate is marked by earthy cherry. 2007 Shoestring Syrah $37 - My favorite of the bunch, this warm climate Syrah shows blueberry and pepper on the nose, and offers a palate of good dark fruit with oak spice notes. I had it with one of those homemade chocolates, and it was great. Locations is an experiment of place for winemaker Dave Phinney, of Orin Swift fame. It's his attempt to make wines from all over the world. These wines are labeled only with a big letter or two, depicting the place of origin - F for France, P for Portugal, I for Italy, TX for Texas. Yes, he sources grapes from Texas. And NZ is for New Zealand. 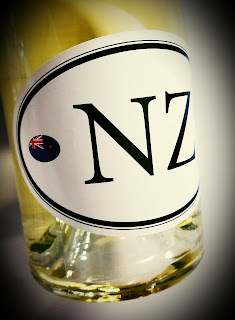 The 100% Sauvignon Blanc grapes were grown in Marlborough's Wairau, Awatere and Waihopai valleys. Phinney says he searched for growers who had been digging the Kiwi dirt since the early 1970s. He describes the three lots this way: "the Wairau Valley, with its traditional passionfruit and crisp grassy flavors… complemented by the second wave of plantings in the ever expanding Awatere Valley, noted for the minerality and elegant characteristics the fruit gains from the region's proximity to the Pacific Ocean… the southern valley of Waihopai, where the gravel soils, and later, cooler ripening climate produce Sauvignon Blanc characteristics that provide the final layer of complexity." The wine never touched oak, and alcohol is reasonable at 13.5% abv. This New Zealand Locations wine delivers exactly what the label promises. 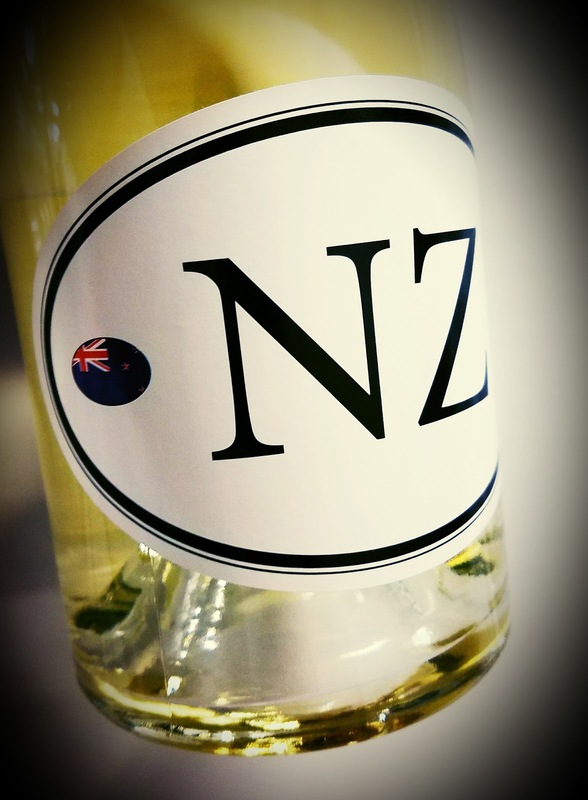 The classic fragrance of NZ Sauvignon Blanc comes through with fanfare. Minerals, citrus, fresh cut springtime grass, wet driveway - they're all there. The palate shows the bracing acidity and fresh-flavored lemon-lime-minerality for which the country’s favorite white wine is known. Yet, there is a creaminess to the mouthfeel which suggests malolactic fermentation. You'll want to have crustaceans over for dinner when you uncork this one. I had it with a homemade cheese and olive plate, a good pairing. 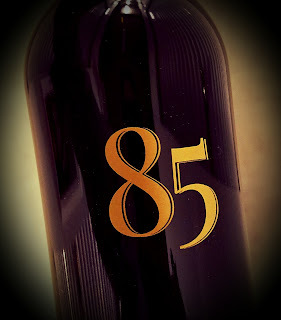 Parducci has been producing wine for 85 years, and so the name of this one is a natural. John Parducci, known in the day as "Mr. Mendocino," started the whole thing and pretty much put Mendocino County on the wine map. Those who keep his vision alive today raise a toast home every day, I would imagine. 85 is a blend of Mendocino grapes - 69% Cabernet Sauvignon, 18% Merlot, 8% Petit Verdot, and 5% Cabernet Franc. It was aged in a little less than one-third medium toasty, new American oak and the rest in seasoned oak barrels. Alcohol checks in at 14.5% abv and it sells for $45. They only made 240 cases of this commemorative beverage. The wine is medium dark and smells of plums and blackberries, with great notes of sage, vanilla and eucalyptus. That dark fruit hits big on the palate and carries along nice oak spice notes with it. Tannins are fairly aggressive, and the finish lingers awhile. The oak notes come through effectively, but do not take over the nose or palate. The Terrasous aged sweet wine series features a range of their natural sweet wines that have been aged for at least six years. This one hails from 1974. The wine is fortified to 16% abv and sells for about $75. That’s for a nice, full-sized wine bottle, too, not a little "sweet wine" size. The 1974 Vin Doux Naturel is made of Grenache Gris and Grenache Blanc grapes grown in southern France's Rivesaltes region of Roussillon, just north of Spain and west of the Balearic Sea. It's surely sweet, but with the beautiful tart edge that makes dessert wine so approachable and food friendly. The more age these wines have, the more character they show. Pair with pastries or enjoy on its own as an aperitif or a finale. This 43-year-old white dessert wine is whiskey dark, even darker, maybe. The nose brings buckets of raisins and brown sugar, with baking spices - it smells like the bottom of an upside-down cake. It's fairly viscous and tastes of sweet spices and raisiny fruit, with an awesome acidity still working. If you need kosher wines for Rosh Hashanah - which begins at sunset on September 20th, 2017 and runs through sunset on September 22nd - there are some good ones and some not-so-good ones out there. Of course, if you're happy with Mad Dog and your family prefers the taste of grape juice over wine, then you're probably all set. You can get a half barrel of it for seven bucks. If you want something more like a fine wine, however, read on. Galil Mountain Winery and Golan Heights Winery are both Israeli producers. You may not have even considered that wine is made in Israel, but it is and it's often really good and it's kosher. 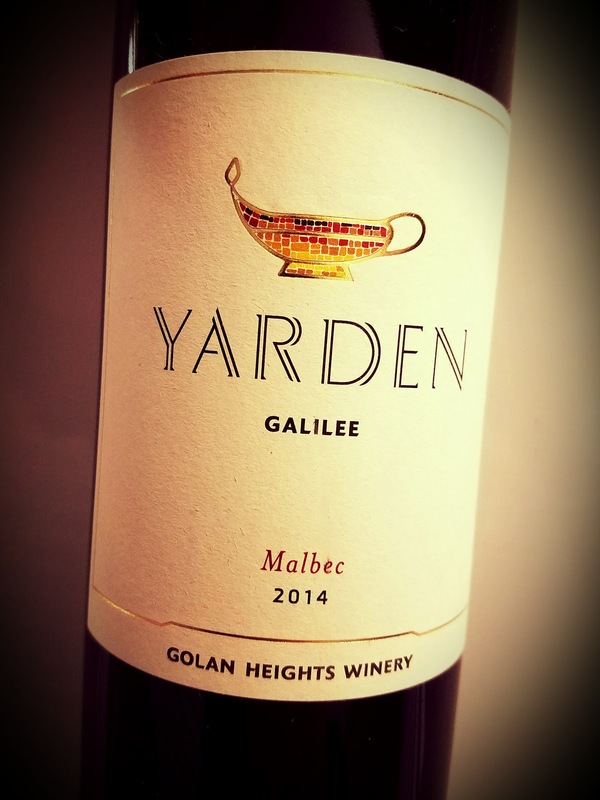 Golan Heights Winery describes their part of Israel this way: "The Galilee (or Galil) is the most northern, and generally considered the best, appellation in Israel. The highest quality area within the appellation is the Golan Heights (or simply the Golan), the coldest region in Israel. The vineyards on this volcanic plateau rise from 1,300 feet above sea level to 3,900 feet and receive snowfall in the winter." The region is known as Israel’s "wine country." The winery’s first vintage was the 1983 Sauvignon Blanc. Since then, it has been operated as "strictly Kosher" from the vineyard to the winery. Head winemaker Victor Schoenfeld leads a team that has trained around the world. 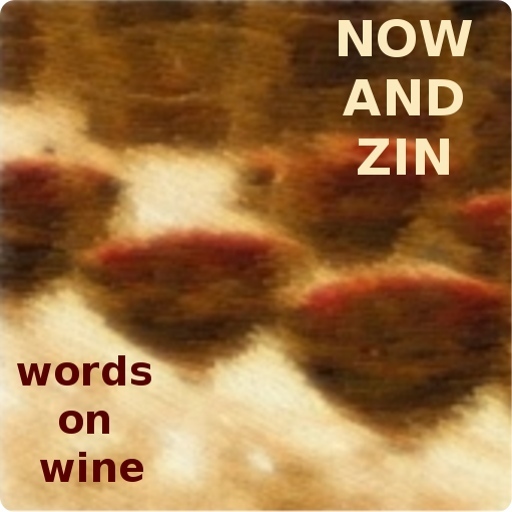 Schoenfeld says wine "has the power to embody the culture, language, scents and people of its region." Blanc de Blancs is a fancy term for a sparkling wine made only from Chardonnay grapes. The Yarden Blanc de Blancs is made completely from those that were grown in Israel’s Golan Heights region. The grapes were whole-cluster pressed and the wine was aged for a minimum of four years. Alcohol is quite manageable at 12% abv. It retails for $31. The wine fizzes up quite bit, but the bubbles dissipate quickly. Its nose shows tons of toast and an earthy, yeasty quality that is undeniable. The savory aromas lead to a palate that displays more of that holy soil, embedded in a vibrant, but not quite racy acidity. It has great weight and offers the kind of taste treats one expects from Champagne. The 100% Malbec wine is sourced in Yonatan Springs in central Golan Heights. 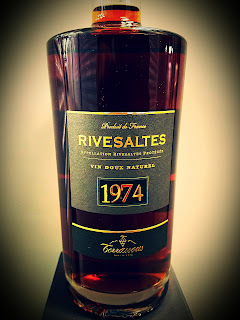 It's aged for 18 months in French oak, carries an alcohol number of 14.5% abv and retails for $33. It's a wine that is dark to its core, in tint, aroma and taste. Blackberry and currant bring the fruit smells, while a savory aspect rivals it in the form of tar and spice. The palate is rich and dense, with dark fruit flavor and the mark of a year and a half in oak. The tannins are firm, but not overpowering. It rivals other popular-brand Malbecs, but comes at a higher price. Yiron is a Bordeaux-style blend from upper Galilee. The wine is Kosher, but not Mevushal. Galil Mountain's head of winemaking Boaz Mizrachi Adam says he follows advice to "do the best you can without hurting future generations." This wine features 56% Cabernet Sauvignon grapes, 32% Merlot, 7% Syrah and 5% Petit Verdot. Winemaker Micha Vaadia aged it for 16 months in French oak barrels. At 15% abv, it’s wise to keep an eye on uncle Julius if he’s driving. Retail is $32. This dark wine has aromas of cassis with a savory backbeat. Anise and leather join the fruit on the nose. The sip offers a tasty expression of the grapes involved, with an earthy element that's not quite pencil shavings and not quite olives, but close on both counts. The tannins are a bit toothy, but that brisket probably needs a good taming. 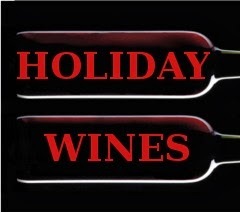 The wines of both wineries start at under $20. Murrieta's Well is a Wente property in California's Livermore Valley. They take great pride in being one of the Golden State's "original wine estates." The property was founded in the late 19th century, with cuttings from the Chateau d'Yquem and Chateau Margaux in France. The place was bought in 1933 by Ernest Wente. In 1990, Philip Wente and Sergio Traverso "partnered together to revive the winery." Winemaker Robbie Meyer does a great job of turning the fruit entrusted to him into magnificent wines that tell the story of the land. A virtual event recently put Murrieta’s Well into an online tasting session, which is documented here. My thanks to those involved in putting on the show for inviting me and providing samples to taste. The Spur is made from five mostly Bordeaux-born grape varieties. It's a mix of 45% Cabernet Sauvignon, 22% Petite Sirah, 14% Petit Verdot, 10% Merlot and 9% Cabernet Franc, all grown in their Livermore estate vineyards. They say they blended "the classic Bordeaux varietals with Petite Sirah to create a distinctly Livermore Valley fruit expression." The wine was vinified in steel, then aged for 24 months in French oak, half of which was new. Only 207 barrels were made. Alcohol hits low, at 13.5% abv and it retails for $30. The Spur is medium-dark in the glass and offers up a beautiful nose that is defined by its aging process. Vanilla spice and cigar box notes keep the cherry-red fruit flavors disguised well. The palate is a savory splash of herbs, fruit and spice. As in the aroma profile, red fruit takes a back seat but never has to shout, "down in front!" There's a hint of tartness that lines up perfectly with the bounty of flavor in this wine. A firm tannic structure adds purpose to pleasure. Santa Barbara County's Fess Parker Winery is branching out. In the spirit of their founder's pioneering ways, the heirs of the barrels have headed north, to the Napa Valley, to create a new label. Adding to the Parker legacy is Addendum, the company's arm for Bordeaux-style wines. The Addendum wines are just becoming available, but I was able to snag a sample thanks to a Brandlive virtual tasting event put together by Charles Communication. Parker's daughter Ashley Parker Snider, her husband and Parker President Tim Snider and winemaker Blair Fox all took part in the online session. The virtual tasting is hosted here, if you’d like to take a look. The Fess Parker winemaking program began 30 years ago in Santa Barbara County, with Rhône and Burgundian styled wines. The second generation of the Parker family is forging the new label for single vineyard Napa Cabernets. They source some grapes from Stagecoach Vineyard, and another noted plot that we cannot mention due to contractual restrictions. Tim Snider says they felt they had to explore the possibilities presented by their vineyard relationships in Napa. In true pioneer fashion, they are blazing a new trail for themselves. Snider says the family did not make the move to producing Napa Cabs cavalierly. He says the main emotion at this point is enthusiasm. Ashley pointed out that they didn't start a Cab label just so they could charge more for the bottles. Production on all four of the Addendum wines together is less than 800 cases, she says, so it’s more of a learning experience. 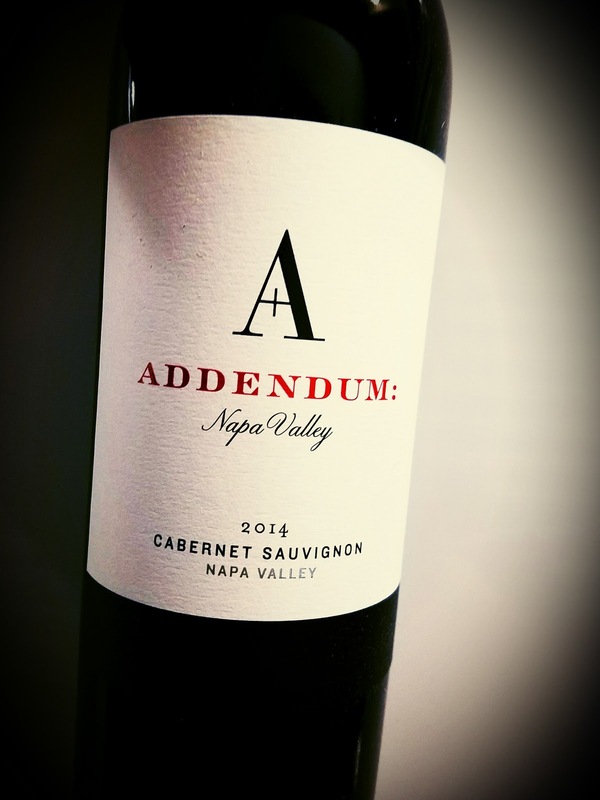 The grapes for the 2014 Addendum Napa Valley Cabernet Sauvignon came from two Napa sites. Alcohol comes banging in at 14.9% abv and retail price is $90. This is an extremely dark-tinted wine. It's nearly impenetrable, in fact. The nose follows suit, showing very dark fruit covered in a savory shawl of forest floor, cigar box, pencil shavings and spearmint. The palate is lush, with blackberry flavors and earth most prominent. It has quite a backbone, with enough tannic structure for marbled beef and some left over. It still drinks fairly youthfully, but it does settle down somewhat over time. The Vivanco dream began, according to the website, 100 years ago when Pedro Vivanco González started a four-generation - and counting - business. Today Santiago Vivanco leads the business side and and Rafael Vivanco Sáenz makes the wine. The winery is where it has always been, in the La Rioja town of Briones. The Vivanco 2013 Rioja Crianza is all estate Tempranillo, grown in Rioja Alta, on vines that range from 15 to 20 years old. The crews were able to wait until early October to get the fruit off the vines. Aging lasted 16 months, in French oak barrels. Alcohol runs at a reasonable 13.5% abv and I see the wine selling for about $15. The art on the label is a 1974 Joan Miró work called, Le Troubadour. The bottle was inspired by an 18th century vessel, which is on display at the Vivanco Museum of the Culture of Wine. The dark Spanish wine gives off a heady whiff of black and blue fruit with an overlay of leather and black olives. A little smokiness creeps in after it sits awhile. On the palate, it has a vivacious acidity that makes my lips smack. It also features plums, blackberries and currant in a slightly savory, earthy framework. I want a pork chop with this, or a lamb shank. A virtual event recently put Murrieta's Well into an online tasting session, which is documented here. My thanks to those involved in putting on the show for inviting me and providing samples to taste. The wine is made from estate grapes grown in California's Livermore Valley, in the Sachau vineyard - 88% Cabernet Franc with a 6% splash each of Cabernet Sauvignon and Petit Verdot. Vinification was done in steel tanks, while the three parts were aged separately for ten months in French oak barrels. The vintage was marked by drought and the resulting lower yield from the vines produced small, concentrated grapes. Twenty barrels of this wine was produced, and it's all sold out, according to their website. It carries its alcohol at 14.1% abv and the retail price was $58, when it was in stock. The 2014 Murrieta's Well Livermore Valley Cabernet Franc is big, brawny, dark and deep. Inky indigo in appearance, the nose shows dark fruit and a tarry edge that carries tobacco and spice. Flavors run to the dark side as well, with blackberry and plums shrouded in forest floor. The structure is great, with firm tannins and juicy acidity. The New York Distilling Company says their spirits are "purposefully different." The Brooklyn-based distillery is run by "cocktail people making spirits for cocktails," Allen Katz, Bill Potter and Tom Potter. The latter also co-founded the Brooklyn Brewery. The distillery makes ryes and gins that are distilled in Brooklyn from grains grown in New York State. 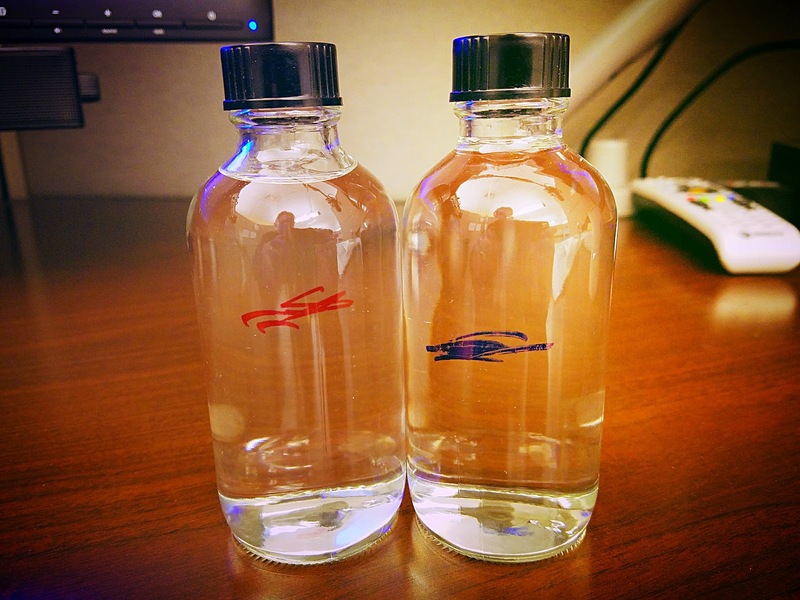 I was ent tiny sample bottles of each for review. Gin is perhaps the best use for juniper berries that there is. Originating in Great Britain in the Middle Ages, when they called it genever. The Dutch popularized gin as a medicinal product (for my rheumatizz) and today, whenever someone offers me a tonic for my soul, I say make it a gin and tonic. The neutral grain spirit and botanicals are distilled together in a 1000-liter pot still, as in the 18th century. The botanicals include juniper berries, coriander seed, lemon and orange peel, whole green cardamom pods, cinnamon bark, elderberries and hibiscus petals. The process takes seven hours to distill, and it's then left for a week before being slowly proofed in a column still to 44% abv over the course of two to three weeks. The Dorothy Parker Gin has really herbal aromas - the juniper and coriander play large - and great traces of citrus on the sip. It's fantastic straight up, even better as a dirty martini. Again, the neutral grain spirit and botanicals are distilled together in a big pot still. The list of botanicals is similar, including juniper berries, coriander seed, lemon, orange and grapefruit peel, whole green cardamom pods, cinnamon bark, angeleica root, whole star anise and wildflower honey. The distillation process is the same, but it’s proofed higher, to 57% abv. They say Perry's Tot gin is the first Navy Strength gin produced in the U.S. in 100 years. The aromatics are much the same as the DP, except with more citrus notes and more firepower on the palate, to be sure. Navy strength means, in this case, 114 proof. It doesn't mess around. And it's exactly what you want in your G'n'T. They call theirs are "Tot & Tonic." If you really want to get crazy at your home bar, try their recipe for the "Innocenti." Stir over ice the Perry's Tot, a dry vermouth, Lillet Blanc and Benedictine and strain into a cocktail glass. Ramsey Wines are a second label for the Kent Rasmussen Winery. It is named for his wife, Celia Ramsay, who handles the business aspect of wine while striking her own artistic notes as a Bay Area singer. This blend, the 2015 Ramsay North Coast Cabernet Sauvignon, is 97% Cab and 3% Merlot, with the grapevines spread out in Sonoma, Napa and Lake counties. Winemaker Rasmussen writes that "2015 was a stunning year for grape-growing in California’s North Coast." Great weather in California? Go figure. "From the start of the season until the end we had day after day of beautiful sunshine, blue skies and fresh and fragrant air. The vines responded by giving us a small, but perfect crop." Alcohol hits 13.6% and the wine sells for an amazing $18. This is Cab with some guts. Oil-dark in the glass and rustic on the nose, the aroma package is full of back-country bramble and black fruit. There's a savory note of tar that virtually leaps out at me. The palate shows plum and blackberry roughed up by a cedar and spice element in the same way one might break in a cap or a baseball glove. Cabernet Sauvignon is normally not my first choice, but it might be if they all tasted this good for the price. To paraphrase the end of a famous quote, "a good Cigar is a Zinfandel." 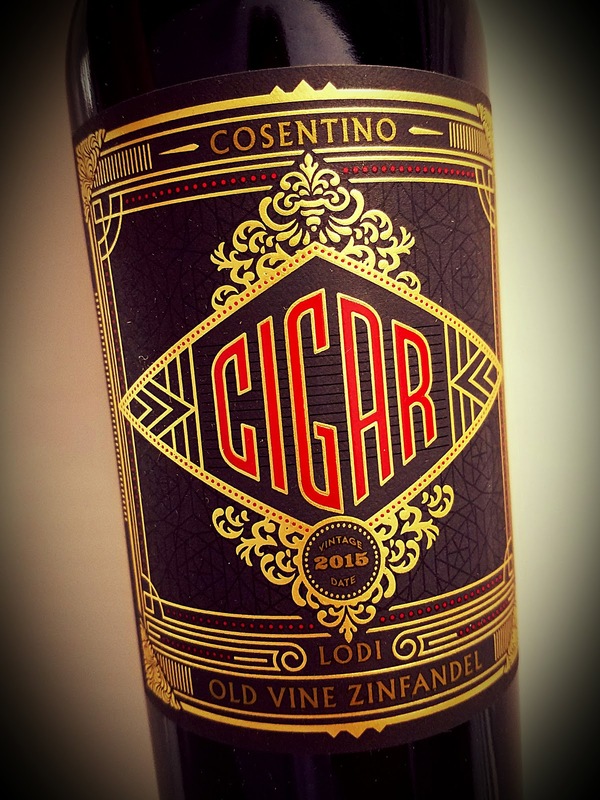 The name for this Cosentino wine was taken from Winston Churchill's witticism promoting cigars and booze before, during and after meals. The winery's Napa Valley location should not warn you away from their longtime reliance on Lodi grapes. he 2015 Cigar Old Vine Lodi Zinfandel has a big ol' California alcohol number at 15.5% abv and retails for $22. Winemaker Marty Peterson was wise to limit the oak aging to only eight months. It's just right. Cigar is an extremely dark wine, marked by blackberry and blueberry fruit on the nose and palate. The aromas strike me as being a little muted at first, especially for a Zin. Some savory smoke and tar aromas open up as the wine does. As telegraphed by the name, the smell of cigar box also works into the profile. The flavors are dominated by bold fruit, but a touch of oak spice and black pepper wraps that up in a pretty bow. Tannins are firm and useful, if you happen to have a pork chop or a lamb shank laying around. 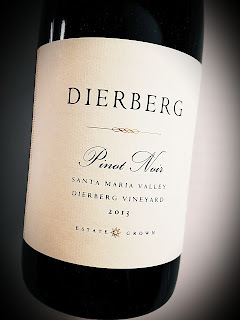 Jim and Mary Dierberg feel this wine is one that is worthy of their "250-year plan." The couple owned a winery in Missouri and looked at properties from France to the Napa Valley before deciding that Santa Barbara County was right for them. 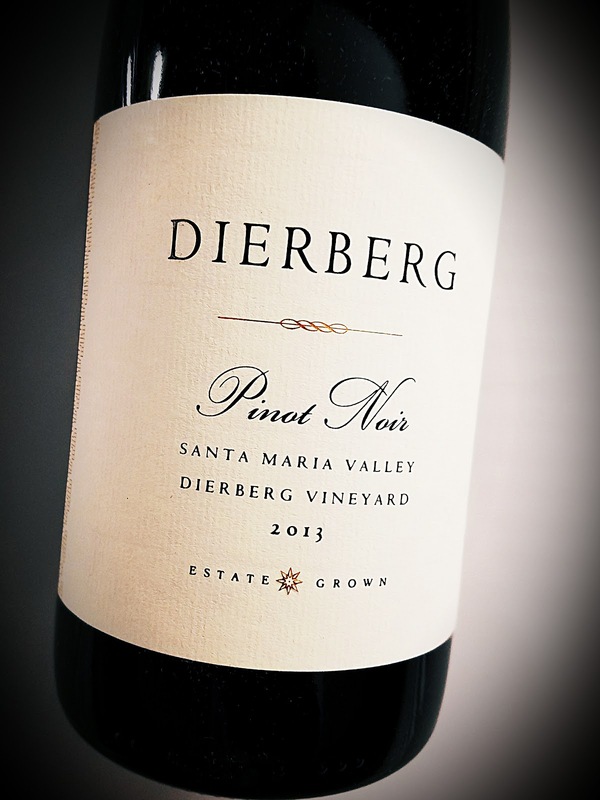 The Dierberg Vineyard is home to Pinot Noir and Chardonnay vines, while the warmer Star Lane vineyard in the Santa Ynez Valley has Bordeaux varieties. Winemaker Tyler Thomas says he is "thrilled" to be working with fruit from Happy Canyon, the Sta. Rita Hills and the Santa Maria Valley. This Santa Maria Valley Pinot Noir is medium-dark in the glass. It brings aromas of earthy raspberry and black cherry, with coffee grounds and a heavy mineral angle. On the palate, it has a boatload of acidity and tannins, with dark berry flavors and hints of black tea. It's a huge Pinot with a distinctive flavor, probably a bit brawnier than my taste likes, but still has an elegant side. It is unapologetic in its California-ness, even from a cool-climate region like the SMV.